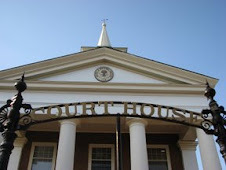 [I]n the year 1769, the House of Burgesses of Virginia passed an act for the division of Augusta county, and all that part of Augusta county lying south and west of the North river, near Lexington, Va., was given the name of Botetourt county, and thus a new county was formed, which included all that part of Virginia in which we live and about which I write. The act establishing Botetourt county provided that from and after the 31st day of January next ensuing, 1770, the said county and parish of Augusta be divided into two counties and parishes by a line beginning at the Blue Ridge, running north 55 degrees west to the confluence of Mary's creek, or the South river, with the north branch of James river, thence up the same to the mouth of Carr's creek, thence up said creek to the mountain, thence north 55 degrees west as far as the courts of the two counties had it extended, and further. Whereas the people situated on the waters of the Mis- sisippi in the said county of Botetourt will be very remote from their courthouse and must necessarily become a separate county as soon as their numbers are sufficient, which probably will happen in a short time, be it further enacted by the authority aforesaid that the inhabitants of that part of said county of Botetourt which lies on the said waters shall be exempted from the payment of any levies to be laid by the said county court for the purpose of building a courthouse and prison for said county. It will thus be seen that the organization of the county of Bote- tourt was intended to be temporary only.